Rifle bedding is fundamental to rifle accuracy. 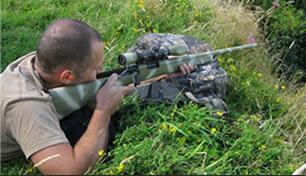 The term bedding refers to the fit and stability of a barreled action within the rifle stock. If the fit and stability of the metal work in relationship to the stock is poor, the rifle will be in-accurate. Bedding a rifle with epoxy resin is the optimum method of obtaining a correct fit, long term stock stability and optimum rifle accuracy. In order for a rifle to shoot accurately, the number one rule is that everything needs to be the same with each shot. There are several variables to rifle accuracy and each variable must be addressed. The shooter needs to be in the same position for each shot, each cartridge must be the same as the one before it, and the scope must hold the same zero while the rifle needs to produce the same results each and every time. With every shot, the barreled rifle action moves and vibrates within the rifle stock. The best way to picture the barrel is by using the analogy of a baseball pitcher. As the pitcher throws his ball, the slightest difference in his point of release will change the point of impact at the batter. The rifle barrel is just the same and "whips" with each shot. If the barrel is unable to whip the same way each time, the bullet will strike to a different point of impact. 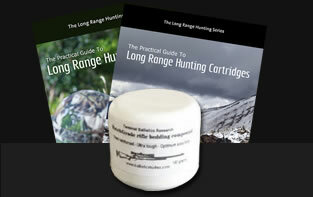 Hi Nathan, the Practical Guide to Hunting Cartridges is a fantastic read and more than that, it is a reference manual! This is a book that I’ll be going back to for information time and time again, like old reloading manuals! Brilliant Nathan, thank you!! 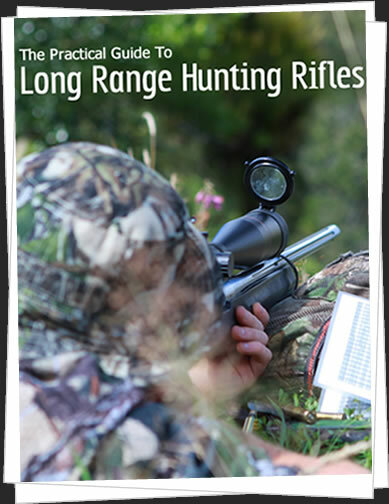 Successful long range hunting requires an accurate rifle. Pretty obvious really. I am writing to say that have I received and read your book, cover to cover. What an eye opener. I wish I had read it prior to purchasing my current rifle. Still I will now work towards a stable, well constructed .308 platform based on your sage observations. 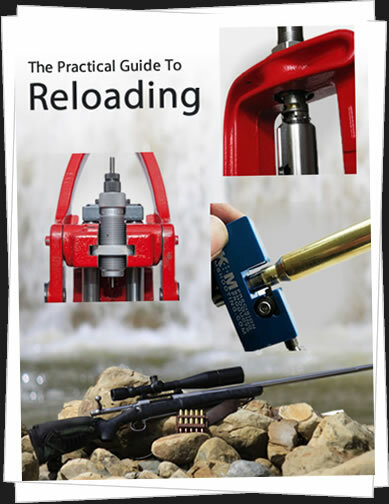 The Practical Guide to Reloading takes you right through the hand loading process, explaining the different types of equipment and the hand loading process from top to bottom. The tool list covers basic items for those on a limited budget right through to advanced equipment. 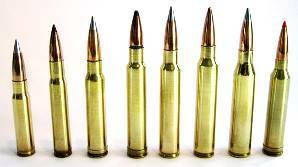 It then details a step by step process of making ammunition that is specifically tailored to your rifle allowing you to extract every last bit of accuracy from your rifle. You know what the difference is Nathan, you speak to folk in a manner that they understand. You can't get this kind of information elsewhere. I think this will always be the difference. You speak to your readers in layman's terms. Learn how to turn your rifle into a tack driver and keep it that way! This book looks at how to fine tune a rifle into a highly accurate tool. If your current rifle isn’t performing to an adequate standard then you will have clear steps to either rectify problems or ascertain whether parts (eg barrel) replacement is required. The maintenance section of this book has crucial information for long term care of the rifle, helping to maximize barrel life while preventing corrosion. 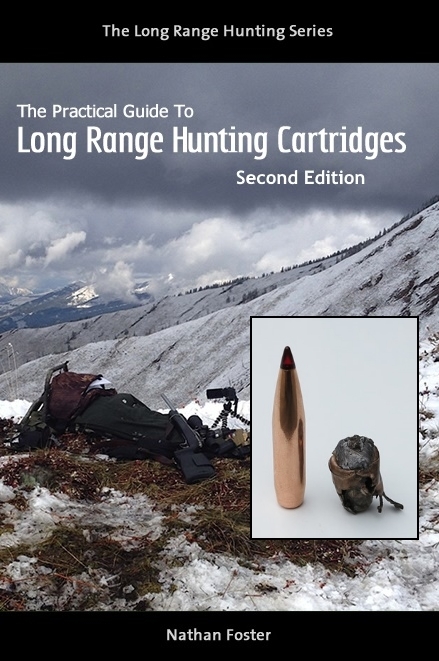 Sub sections of this book also deal with self loading rifle and lever action rifle care. Nathan, just wanted to say that although I have been an armourer in the British Army for 20 years, your books have opened my eyes to long range hunting and rifle accuracy outside of military teaching. It has become blatantly apparent that military thinking is years behind in both technical and user training. I am actively encouraging armourers and users to read your books and check out your website. The worlds foremost online resource for information on hunting cartridges, projectiles and their use on medium to large game. 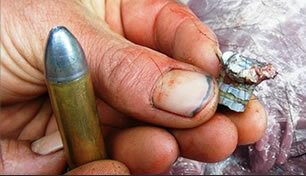 The information on this website is not an ordinary, general overview of hunting cartridges. This knowledgebase is the culmination of 20 years intensive field research and as new bullet designs emerge, this research continues. The database on this website is and will be updated accordingly.